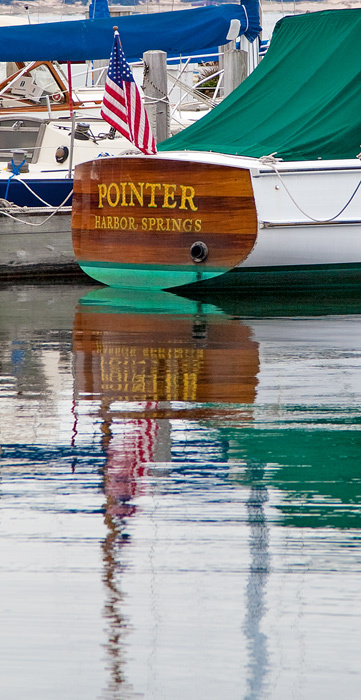 The Pointer Boat was a water taxi that carried residents between Harbor Springs and Harbor Point from 1930 until 1962. Today, Stafford’s Pier Restaurant offers complimentary harbor tours with a taste of history aboard the completely restored Pointer. Photo © copyright by Mike Barton.